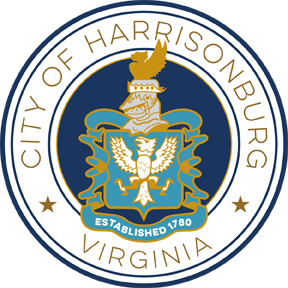 All business and professional operations must purchase a business license before commencing operation in the City of Harrisonburg, including home based businesses. 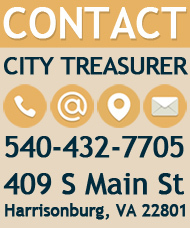 Licenses expire December 31st of each year, however; businesses have until March 1st of the next year to renew their license. [5MB] Business License Application Note: Fillable forms may not show up properly in all browsers. If you experience problems viewing a PDF with form fields, simply save the PDF file to your computer (right click the link then select "Save target as"/"Save link as") and open it using Adobe Reader. Please contact the office if you cannot get the application to load. [347KB] Workers' Compensation Form Effective January 1, 2017; the Virginia Workers' Compensation Commission is requiring that all contractors file their Workers' Compensation Forms 61A online at webfile.workcomp.virginia.gov/portal/vwc-portal/Form61A. The contractor will receive an immediate certificate that needs to be shown to the City for the business license to be issued or renewed. 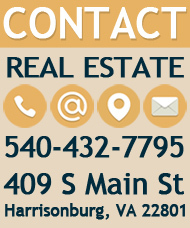 If you do not own a computer, the Commission is allowing a paper form to be mailed to them at Virginia Workers' Compensation Commission, 1000 DMV Drive, Richmond, VA 23220. A certificate will be mailed to you about two weeks after received by the Commission. Note: Fillable forms may not show up properly in all browsers. If you experience problems viewing a PDF with form fields, simply save the PDF file to your computer (right click the link then select "Save target as"/"Save link as") and open it using Adobe Reader. If the business has ceased operations in the City, please complete the form: [47KB] Out of Business Form. 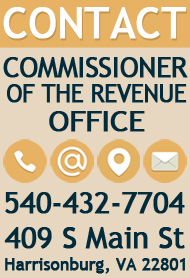 Pursuant to the provisions of Virginia Code §58.1-3703.1(A)(5), any taxpayer assessed with a local business license tax as the result of an appealable event may apply within one (1) year from the last day of the tax year for which such assessment is made, or within one (1) year from the date of such appealable event to the Commissioner of the Revenue.